We offer a bi-lingual (English & Putonghua) Montessori curriculum for children aged 1 years to 12 years. 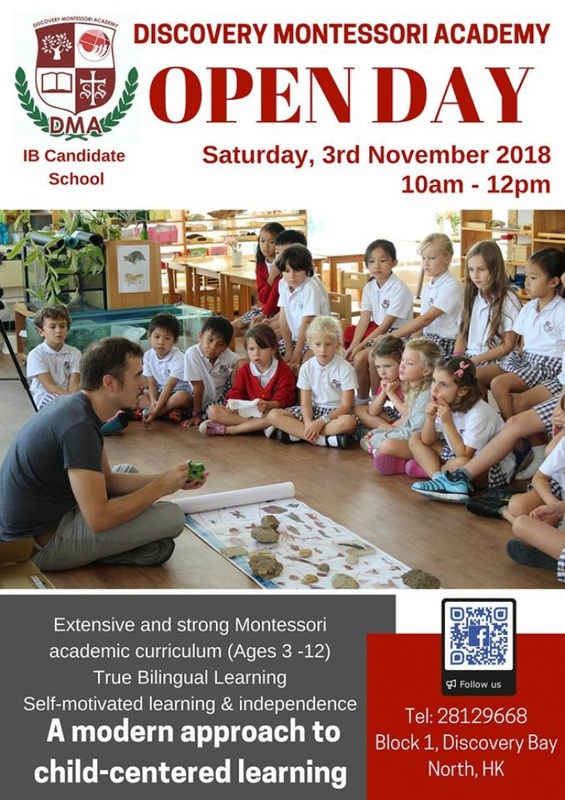 Our DMA Primary School's International Curriculum combines the International Baccalaureate (IB) Program and the Elementary Montessori Program by Association Montessori Internationale (AMI). There will be Montessori Presentations and FUN activities for the children on the day. Come on to experience a Montessori Day and meet our qualified teaching team! We look forward to seeing you at our Open Day! Accepting enrollment for year 2018-19! For Preschool 1 to 6 years old and Primary 6 to 12 years old children.